In a town outside the Syrian capital, Abu Suleiman dusts off his work table and pulls cobwebs from a cupboard he started making before the war. 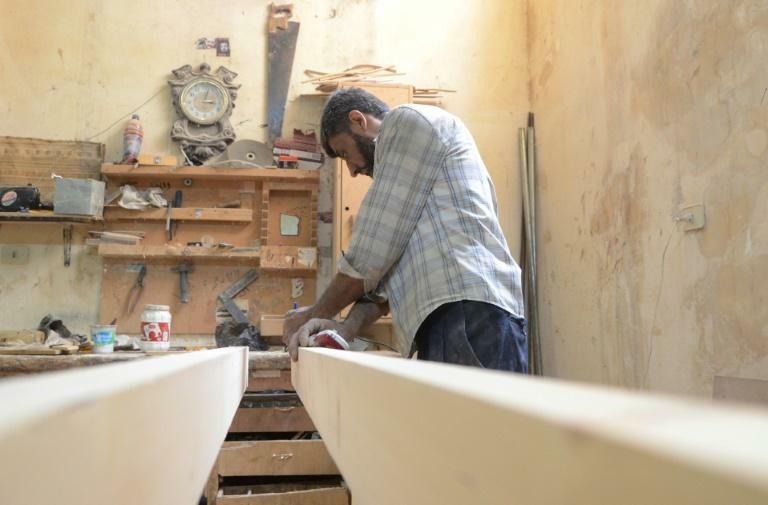 Prior to the outbreak of the seven-year conflict, his hometown of Saqba near Damascus was famed for its carpenters and their handmade furniture. But Abu Suleiman was forced to shutter his workshop after rebels overran the town in 2012, sparking years of deadly regime bombardment and a crippling siege. A 2011 calendar still hangs on the wall. "I started making this bedroom set for my son Suleiman eight years ago, but I never finished it," says the 53-year-old carpenter, removing cobwebs from a cupboard festooned with wooden flowers. "I'm waiting for him to return for us to finish it together, so I can give it to him as a wedding gift," he says. After protests against President Bashar al-Assad first broke out that year, Abu Suleiman encouraged his son to flee in case the situation escalated. Suleiman headed to Germany, where he remains today. 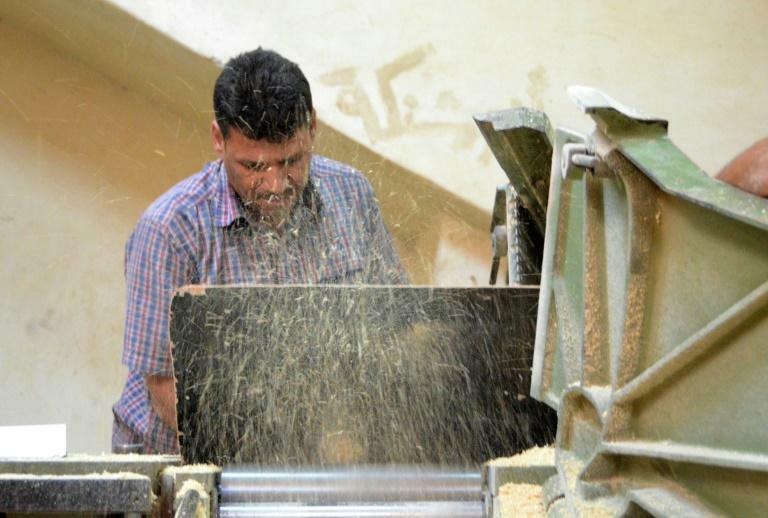 His craftsman father only returned to the dusty workshop last week, after regime forces retook control of Saqba in March and the wider region of Eastern Ghouta the following month. It was a welcome return to his craft after five years of doing other jobs to survive the devastating siege. Regime forces completely surrounded Eastern Ghouta in 2013, making any furniture shippings impossible as well as causing severe shortages of food, medicines and fuel. During the winter, many were forced to burn their furniture to keep warm, Abu Suleiman says, his voice wavering. Fellow carpenter Abu Nader says others smashed it up to sell as tinder. "I would stop people carrying their furniture to chop it up for firewood, and beg them not to do it," he says. "I felt like every piece of wood I had worked with my hands was a chunk of my heart." The siege of Ghouta was one of the bleakest episodes of the conflict, which has killed more than 350,000 people and caused millions to flee. But today, Saqba's workshops have sprung back to life. Electric saws and sanding machines spew out sawdust, their high-pitched whirring filling the street once again. In the town centre, Yussef al-Qabuni has also gone back to work, fixing doors, windows and pieces of furniture for a handful of customers. As he gently raps on the door of a cupboard to check its condition, he says he is delighted to be back doing a job that makes him proud. "I've being working in this trade since I was 10," the burly 50-year-old says. Saqba used to produce hundreds of complete bedroom sets before the war broke out, he says. Hundreds of businesses drew in tradesmen from neighbouring Lebanon, Iraq and Jordan, the Gulf -- even Cyprus. Not far off, Hussam Obayd nails two planks of wood together at a right angle. 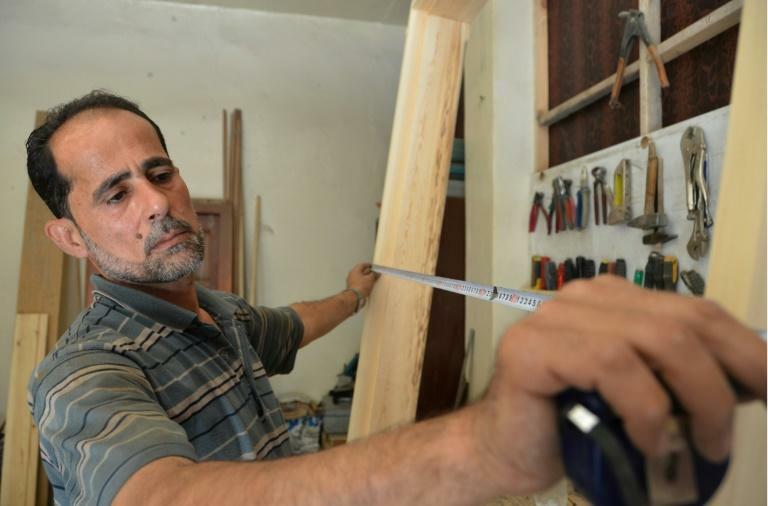 A large majority of Saqba's inhabitants are carpenters, the lean 46-year-old says. "In each family, there are two or three carpenters at least," says Obayd, who recently reopened his workshop with the help of his teenage son. Even if orders are still few and far between, he is excited about teaching 16-year-old Alaa the secrets of the trade. "This is a trade of the future," he says. With fighting over, "everybody is going to want to rebuild their home, and fix its windows and doors."